Every month an average of 1600 people Google this question, for that search term alone. As children, we all learnt that rabbits eat carrots. From drawings to stories to songs, the ‘fact’ found its way everywhere. Many people aren’t entirely sure where the belief arose from, but in my case it was because of Bugs Bunny. The clever cartoon character always found a way to beat his enemies with minimum effort, and loved a good carrot. If Bugs Bunny ate carrots, surely your pet rabbit can eat carrots as well, right? Carrots are not part of a rabbit’s natural diet. This is because the average wild rabbit doesn’t run around and dig up carrots to eat, so they simply haven’t evolved as part of their diet. Why did Bugs Bunny eat them, then? We’re not sure. You could call it lack of research, artistic license, or magical cartoon abilities. I mean, cats are supposed to eat boring cat food, but look at the cat Tom from the popular classic cartoon series Tom and Jerry. I don’t see large quantities of iron being a part of the average cat’s diet.. Carrots are mainly composed of carbohydrates and water. The carbohydrates in carrots consist of starch and sugars, such as sucrose and glucose. Carrots often rank low on the glycemic index, which is a measure of how quickly foods raise blood sugar after a meal. Eating low-glycemic foods is linked to numerous health benefits and is considered particularly beneficial for diabetics. Carrots are a good source of several vitamins and minerals, especially vitamin A, biotin, vitamin K, potassium and vitamin B6. Recent research has identified bioactive compounds in carrots that may help protect against leukemia and cancer cells, read more at HealthLine’s carrot article. So obviously this vegetable is great for humans, but can rabbits eat carrots? Another thing to bear in mind is that since carrots are high in sugar content, they shouldn’t be given to overweight rabbits. None of us like denying our fluffy little pets the occasional treat, but fruits and vegetables containing sugar aren’t the right option for plump bunnies. If given often, it can make a healthy rabbit overweight. Carrots aren’t the only root vegetable that can cause stomach issues in rabbits either. Others such as beetroot, parsnip, turnip and swedes are similar, they are high in sugar and not a part of their natural diet. Carrots aren’t the only root vegetable that can cause stomach issues in rabbits either. Others such as beetroot, parsnip, turnip and swedes are similar. They are high in sugar, and not a part of their natural diet. 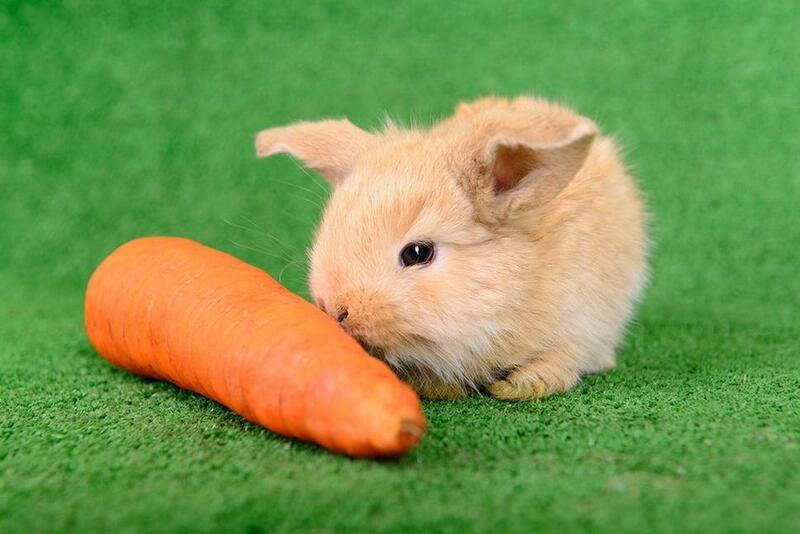 Rabbits are also common to suffering from tooth decay if carrots is a part of their daily diet. This will happend to many rabbits regardless of what they eat, but adding sugary vegetables or fruits into their regular diet will only make things worse. Rabbits have a specialized digestive system. Their distinctive ability to process fiber and nutrients makes them adaptable to many different environments, but their unique digestive systems mean that their guardians must be extra cautious when feeding them.